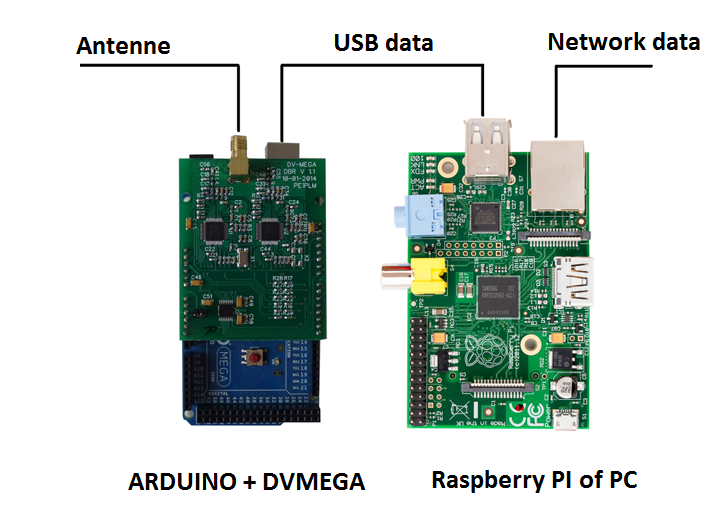 The node adapter is built around two major components. That is the GMSK modem chip (CMX589) and the controller (ATmega) that takes communication to the host (PC or Raspberry PI) for his account. 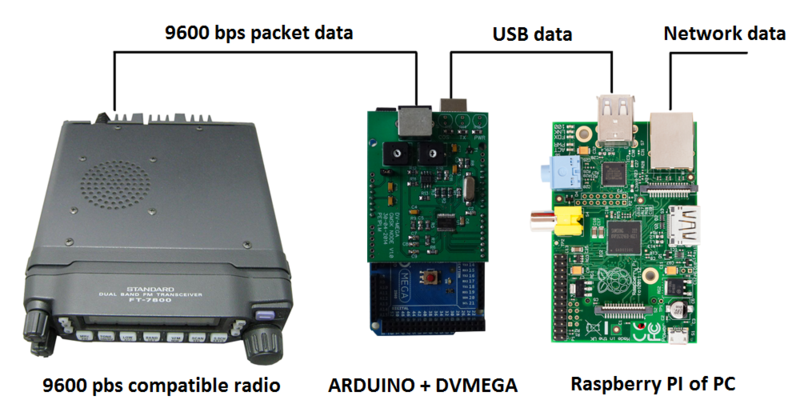 With the DVMEGA Dual Band Radio and ARDUINO board basis you quickly make a 10 mW hotspot for D-Star, DMR or Fusion which operates on VHF or UHF.